I can't believe it's Thursday already. WOW! This week if flying by so fast. 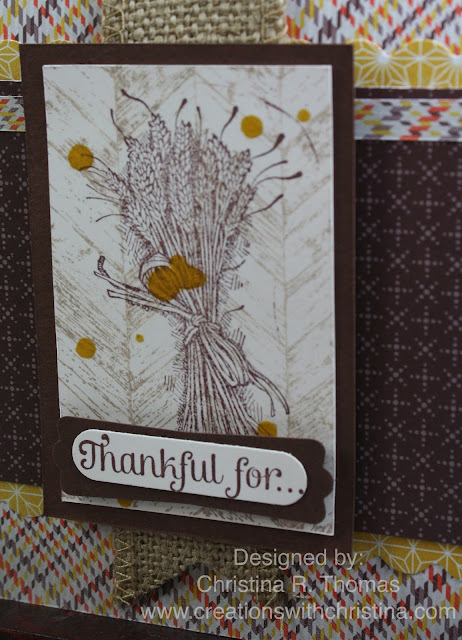 Today I have a Thanksgiving/Fall card for you using some products from the Holiday Mini Catalog. 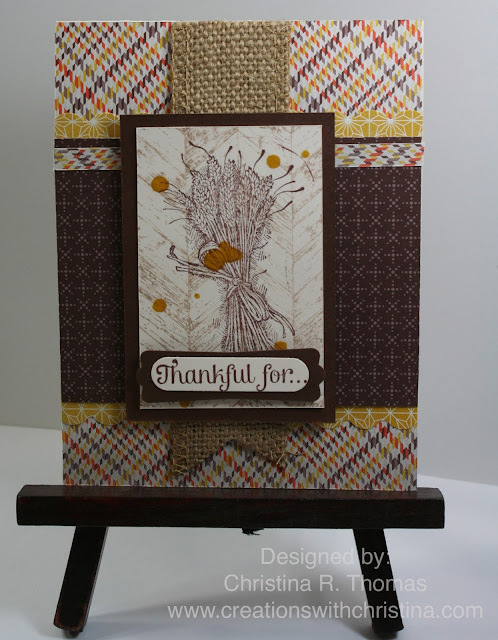 The card measures 4-1/4 x 5-1/2 using the Truly Thankful Stamp set. I also used the designer series paper collection called Sweater Weather. Such gorgeous fall papers. For the stamped section I used Crumb Cake ink to stamp out the background and stamped the wheat with Chocolate Chip. I thought it needed a little more so I splattered Crushed Curry ink refill to give it that little touch.